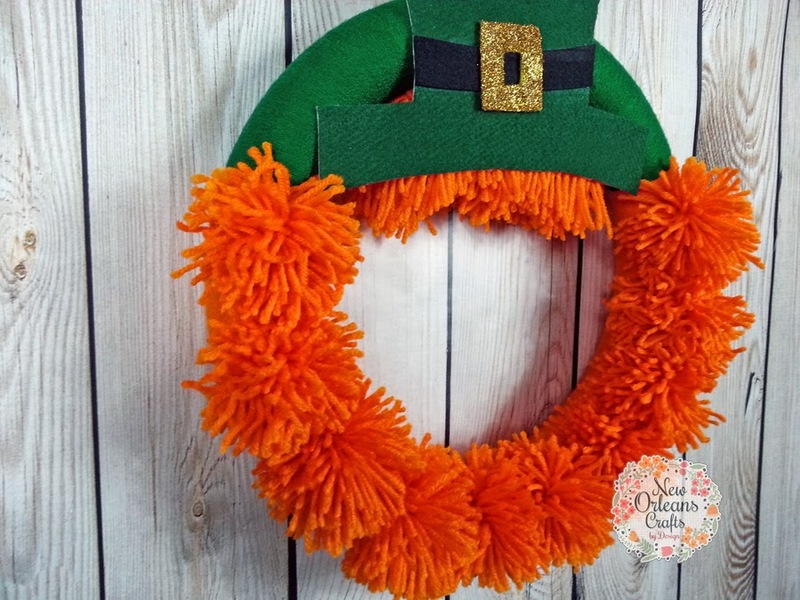 My latest handmade yarn wreath to celebrate St Patrick's Day. 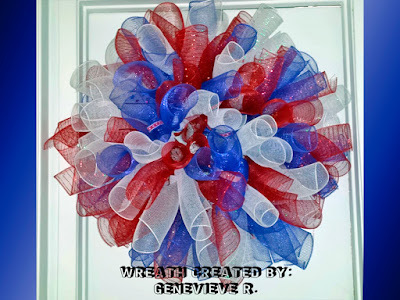 When I started out I wasn't sure how this would turn out but I am quite pleased with the overall look of this wreath. 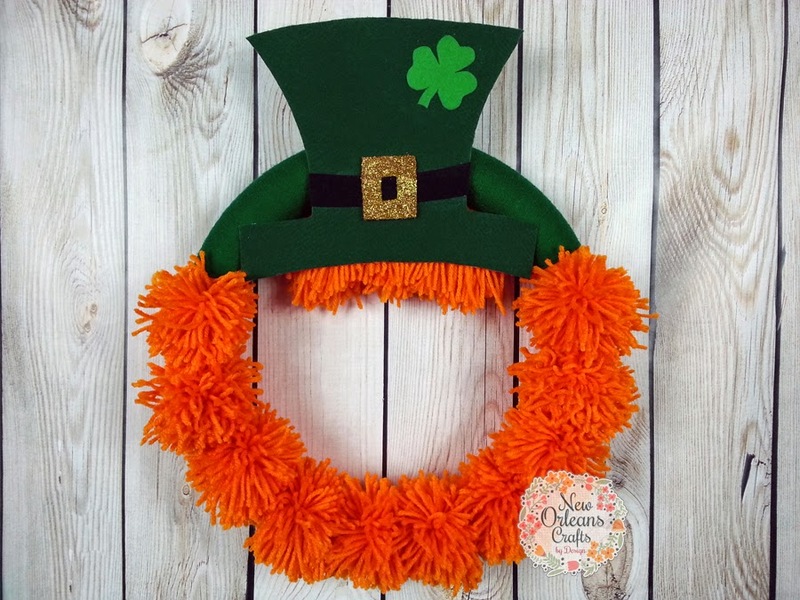 I started with a 14" styrofoam wreath form that I wrapped with orange and green yarn. 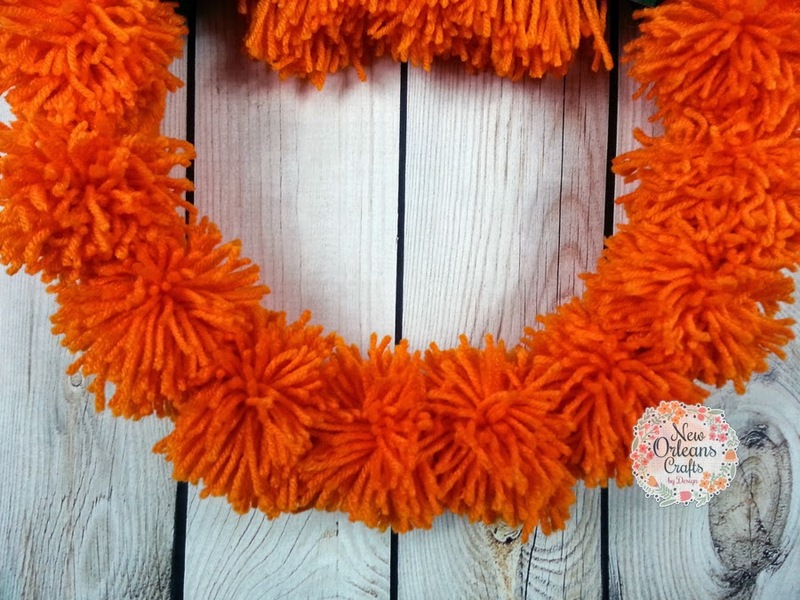 I made 10 large orange pom poms that I attached to the wreath to give the affect of a beard. 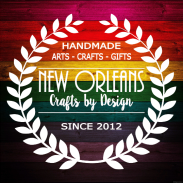 I also added a little yarn to the top to give the illusion of hair. 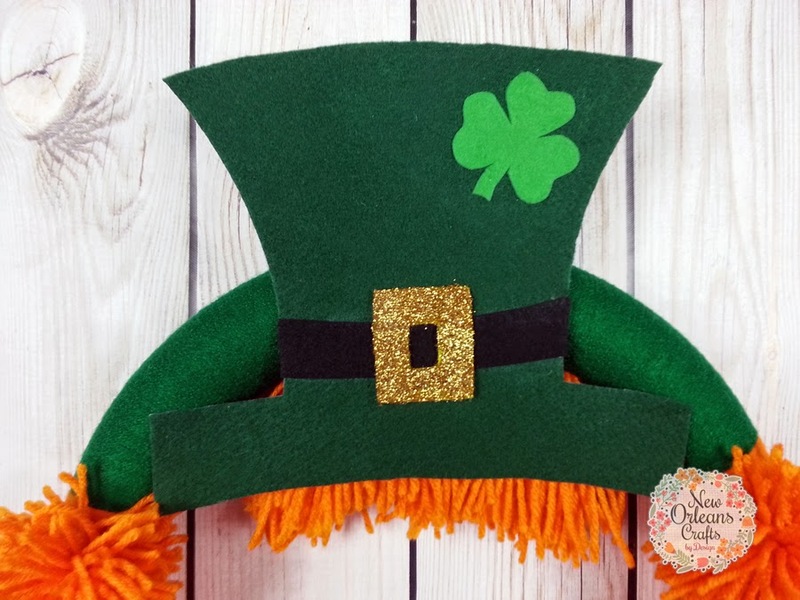 The hat is made with green felt that I attached to a stiffer white felt for stability. I also added a black felt strip and gold glitter buckle for more dimension to the hat. 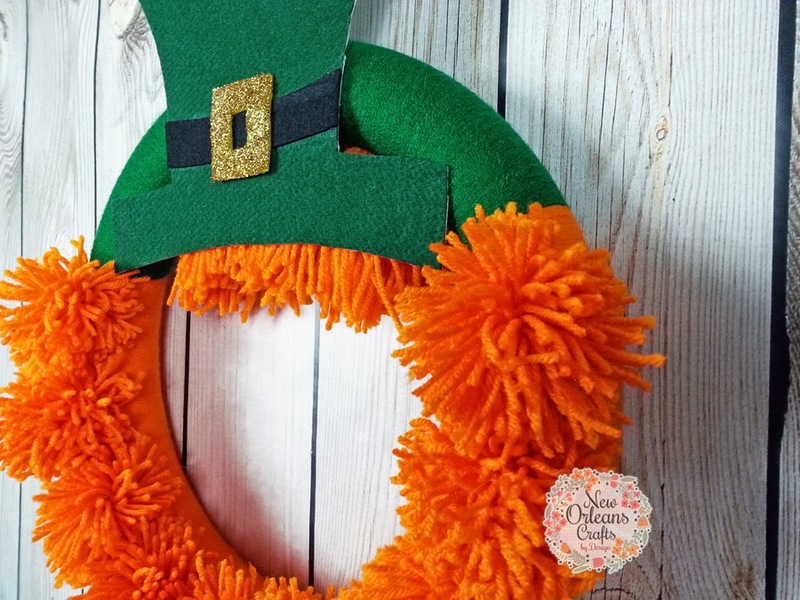 At the last minute I decided to add the felt shamrock to the hat just for a break in color.